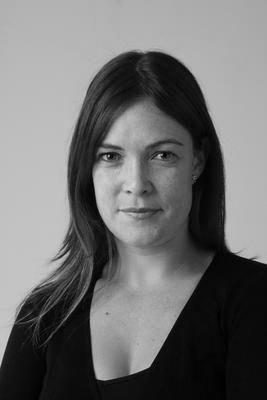 Melissa Fyfe is the State Political Reporter for The Sunday Age. Her career with Fairfax has seen her take on a varied number of roles including: Sydney correspondent, health editor, section editor and also the state news editor. She has won several awards for her reporting on climate change and water during her time as The Age’s environment reporter. With a State and Federal election upon us, this will be a feverishly busy year for the political reporter. 1. Tell us about your typical day. I start the day reading the newspapers and keeping a keen ear on the radio. The rest of the day is spent meeting with contacts, digging through reports, talking to my editors about ideas for the paper, interviewing people and, when parliament is sitting, hanging around the big house on Spring Street. I write my stories on Fridays and Saturdays. Every second Friday I chat to Tony Biggs on RRR about state politics. 2. When did you first know you wanted to be a journalist? Quite young – when I was in Year 7 at high school. 3. Who’s your communication hero/mentor? I have had many fantastic mentors at The Age. My journalistic heroes are mostly American writers, particularly those working for The New York Times and The New Yorker. 4. Which tools can’t you live without? 5. What are the biggest challenges in your role? Managing my time. I have a weekly deadline, so I have to be very disciplined about what I do. Also, dealing with the spin machine of the government and the opposition is very difficult at times. In an election year the stakes are very high. 6. Tell us about the best story/campaign you’ve ever worked on? In the scheme of other stories in my career this one was quite small but it meant a lot to me: I reported on the plight of a young mother who was in a public housing flat so mouldy it was causing her and her baby significant illness. The housing minister moved her within months. She is now living in a place with no mould and her life has completely changed. Her baby is so healthy and happy now. I am also proud of the story myself and my colleague Jill Stark broke recently on Kevin Rudd’s chief mental health adviser quitting. 7. Which campaign do you most admire? This is difficult to answer because in my business a campaign means an election campaign. Barack Obama’s tilt for US president is easily the best example of a political campaign for office that we’ve seen in decades. It’s been said many times, but his harnessing of grassroots support through the internet was spectacular and left the Republican campaign totally flat-footed. 8. What’s been the biggest change to communication industry/journalism since you began your career? Obviously the internet. It has massively reshaped the newspaper industry, eroded the classifieds and changed our business structure. It has opened up many more opportunities for journalism but obviously threatens the fundamental economics of old-school media. 9. What’s your favourite brand? 10. What book/blog do you think every communicator should read? Strunk and White’s The Elements of Style. An oldy (1918) but a goody. 11. What tips do you wish you’d known starting out in your field? The value of confidence. Backing yourself is important.